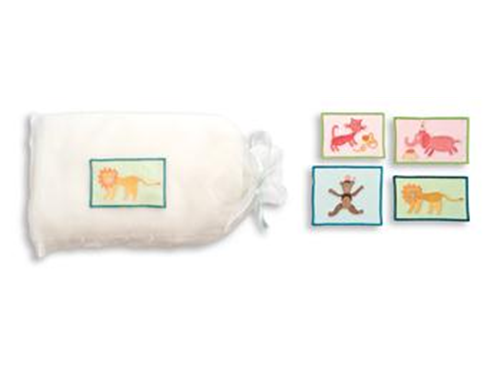 Bubu Receiving Blanket – Asst Styles (Cat, Elephant, Lion or Monkey). Size 28” x 27”. Case pack: 2. Can supply breakdown of styles upon request.